Sharing is giving. 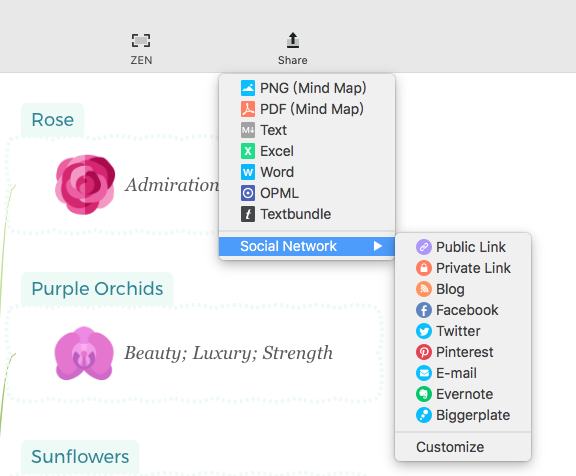 XMind users can share mind maps with the world via XMind Share. XMind Share supports multiple file forms. You can find your uploaded mind maps on XMind online library. Follow the steps below for sharing your mind maps in different forms or on platforms. 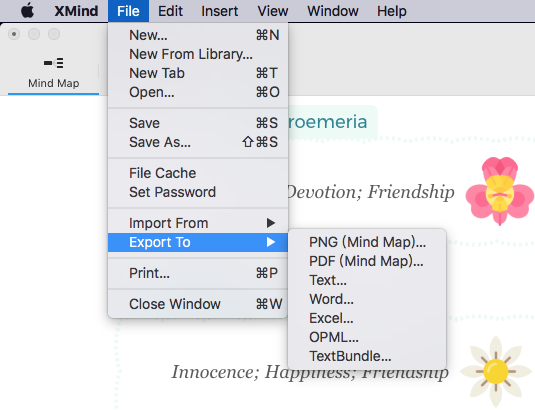 There are 2 ways to export/share your mind maps in different forms. Click Share on the tool bar, and select the forms. Follow the steps below to share your mind maps on Social Network. 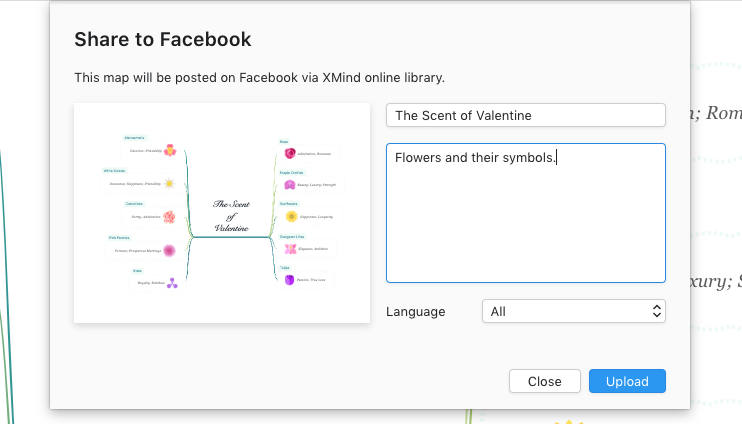 Share > Social Network and Kindly notice that, if clicking the Public Clink, the mind map will be uploaded to XMind online library. Name the mind map, and add description. Click Upload. Previous: How to activate XMind: ZEN? Next: How can I change the Language Setting?